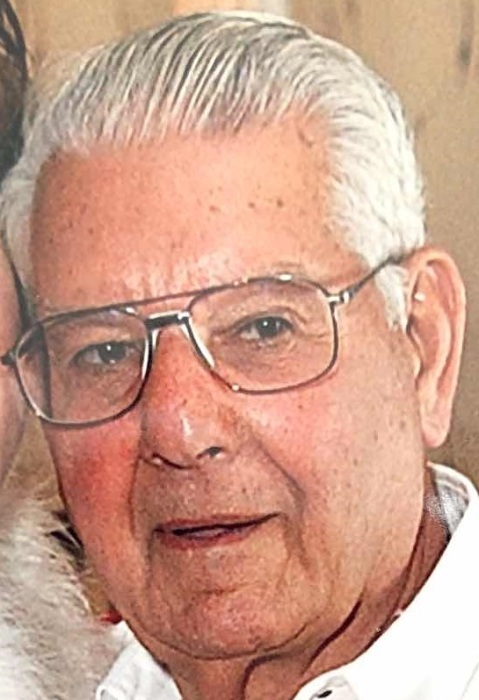 Joaquim Rebello “Jack” 94, of East Taunton, passed away on Friday morning, August 31, 2018 at his home, surrounded by his loving family. He was the husband of the late Mary A. (Gonsalves) Rebello. Born in Taunton, he was the son of the late Manuel M. and Maisie (Silvia) Rebello. He worked for the Taunton Water Department for many years, prior to retirement. Joaquim served his country proudly in the United States Army. Jack served as past president and as a board member for the Holy Ghost Society of East Taunton and was selected to be the Mordomo of the upcoming 2019 Holy Ghost Feast. He enjoyed fishing, especially in the Cape Cod Canal, dancing and traveling. He leaves his children, Arlene DeMoura, and her husband, Joe, of East Taunton, Virginia Bryan, of East Taunton, Richard Rebello, and his wife, Lucy of East Taunton, Anne Marie Shand, and her husband, Steve, of Menifee, California, and Kathleen Valadao, and her husband, Edward of Taunton; nine grandchildren, fifteen great grandchildren, three great-great grandchildren and a grandson to expected in November; a daughter in law, Beverly Rebello, of Bourne, MA and several nieces and nephews. He was the father of the late Daniel Rebello; father in law of the late Danny Bryan and brother of the late Manuel Rebello, Jr., George Rebello, and Mary N. Briggs. Mr. Rebello’s funeral will be held on Friday, September 7, 2018 at 9:30 am, from the Silva Funeral Home, 80 Broadway, Taunton (At Saint Mary’s Square) with a Mass of Christian Burial at 11:00 am, in the Holy Family Church, 372 Middleboro Avenue, East Taunton. Interment with military honors will follow in Saint Joseph’s Cemetery, Taunton. In lieu of flowers, donations in Joaquim’s memory to the Holy Ghost Society of East Taunton, 545 Middleboro Avenue, East Taunton, MA 02718 in his memory would be appreciated.